Brave Move from Volvo: the end of motor shows? Volvo are taking their marketing plan in a new direction and pulling out of all but three motor shows in 2015, obviously then for Volvo, appearing in every different motor show is insignificant in terms of actual car sales, and to be honest they are probably right. Your average person, and the majority of those who populate the car buying market probably wouldn’t be able to tell you the name of one single motor show. Motor shows are more reserved for journalists or people with a weird obsession with cars like me who actually get excited when they hear the Skoda Roomster is getting a facelift. Thinking about it, I can see why, I devoted a whole article yesterday on the fact that the new Mercedes GLS had been spotted, and good heavens, it looks like the bonnets changed a bit, and the rear bumper. I mean I can see very clearly why people don’t share my passion. But anyway back to Volvo, they haven’t gone all out and left Motor shows for good, in 2015 they still plan on attending Detroit, Beijing and Geneva, and use the money they save by not attending the likes of Paris, Tokyo and Frankfurt, on more online marketing. It seems then that Volvo feel it is much more worthwhile investing in online advertising, and it doesn’t just stop with motor shows, Volvo have also shown an intention to cut down on trade shows, TV adverts and sports sponsorships. It will be interesting to see how this will work out for Volvo, to be honest I imagine it might be a smart move, as I’ve said, on a grand scale, only a handful of people know or car about motor shows, the internet however, reaches everyone. It is a strategy that has been born by the current sales and marketing VP Alain Visser, who thinks that whilst motor shows may well be a grand spectacle they are a waster of money as there are “better ways to communicate” their products to the market. This revelation came after Volvo debuted the XC90 at the 2014 Paris show, their first new car since the the Volvo V40 hatch in 2012. 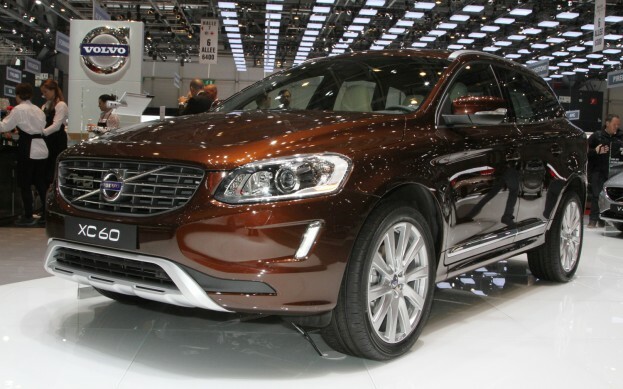 Only time will tell whether or not this is a good move for Volvo. Welcome! Rather than just letting this domain we bought sit there and do nothing we thought we'd use it to discuss the industry and just general car talk. Hopefully we'll impress and get a call from Top Gear to come and replace the original 3. I've worked selling used cars for years, and have also a fair bit of experience in servicing before we decided to scrap that side of garage because it was too much like hard work.